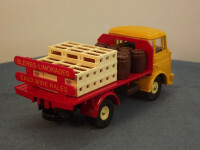 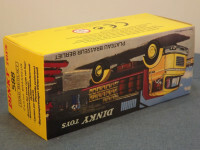 This model is the Editions Atlas Dinky 588-F-1 Berliet GAK Flat Deck Brewery Truck in Yellow and red with "Bleres, Limonades, Eaux Mine Rales" logo on rear tail stakes. (Translates to Beers, Lemonades, Mineral Waters). 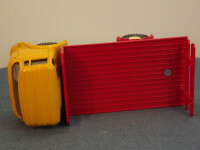 There are no opening parts on this model and all detail such as grille, lights, bumpers, doors, etc is cast into the body. 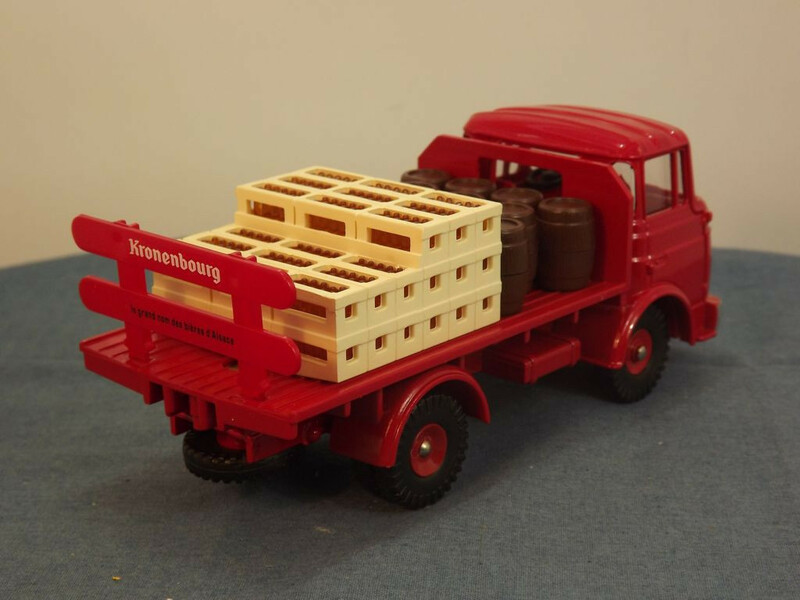 The vehicle is adorned with grey painted bumper and grille, and silver name band and headlight lenses to the front, a red, plastic, rear body with brown plastic barrels and white bottle crates, and a red plastic rear stake guard. 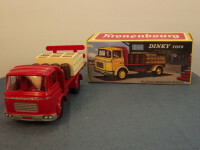 The model appears to be an accurate representation of the original Dinky 588-F-1 issued between 1964 and 1970. 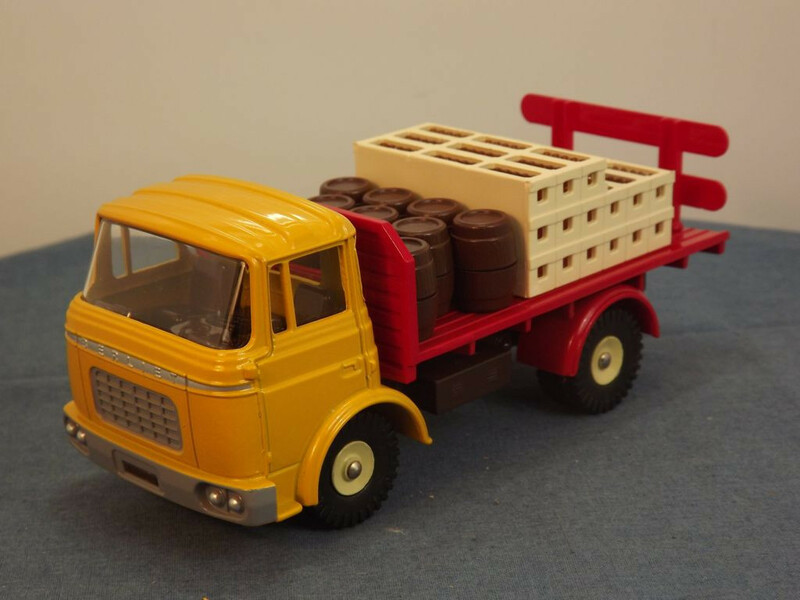 The interior is dark brown and is actually part of the dark brown chassis molding. 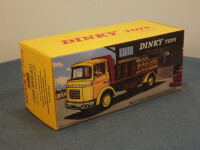 The glazing is clear. All wheels are one piece, cream painted, cast metal hubs with separate black rubber tyre on domed steel axles which pass through the base plate. 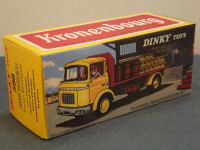 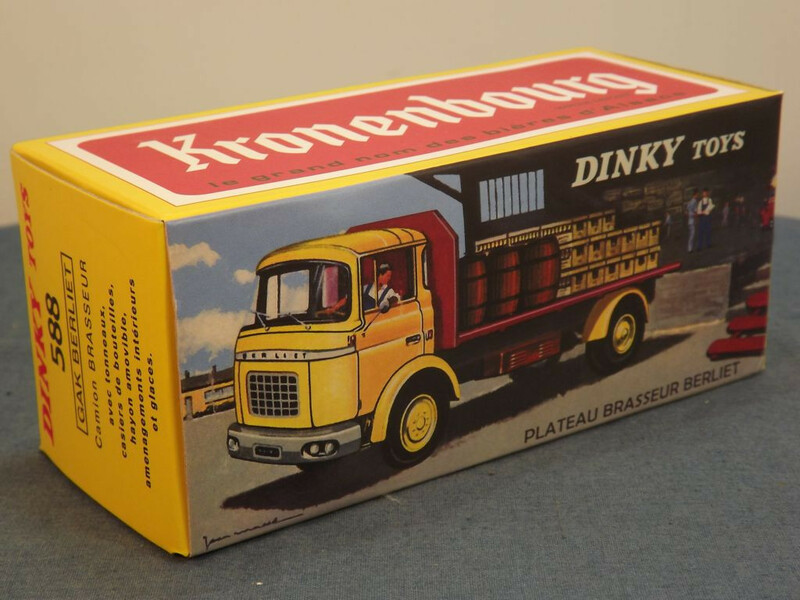 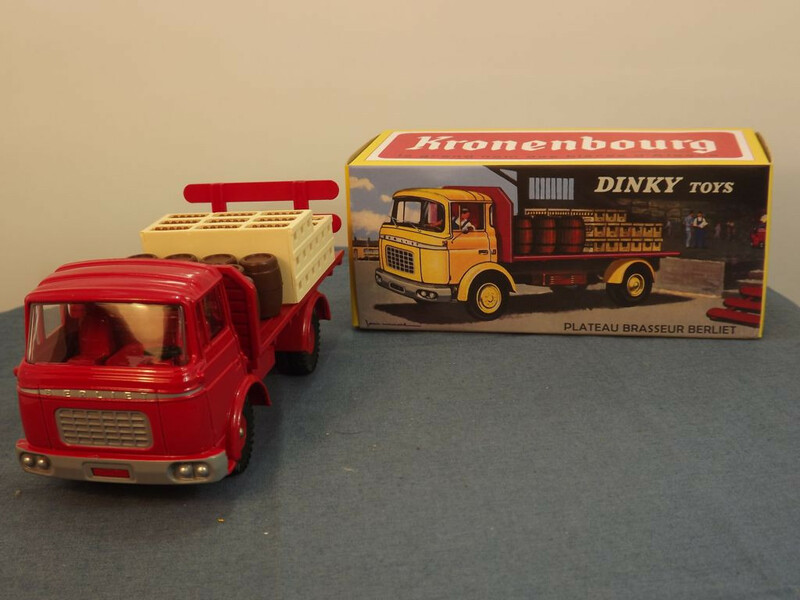 This model is the Editions Atlas Dinky 588-F-2 Berliet GAK Flat Deck Brewery Truck in red with "Kronenbourg" logo on rear tail stakes. 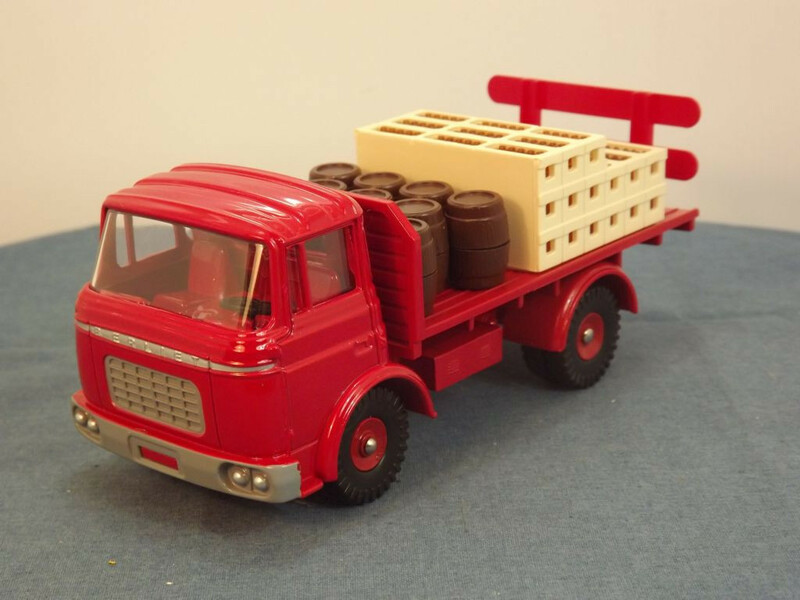 There are no opening parts on this model and all detail such as grille, lights, bumpers, doors, etc is cast into the body. The vehicle is adorned with grey painted bumper and grille, and silver "Berliet" name band and headlight lenses to the front, a red, plastic, rear body with brown plastic barrels and cream bottle crates, and a red plastic rear stake guard. 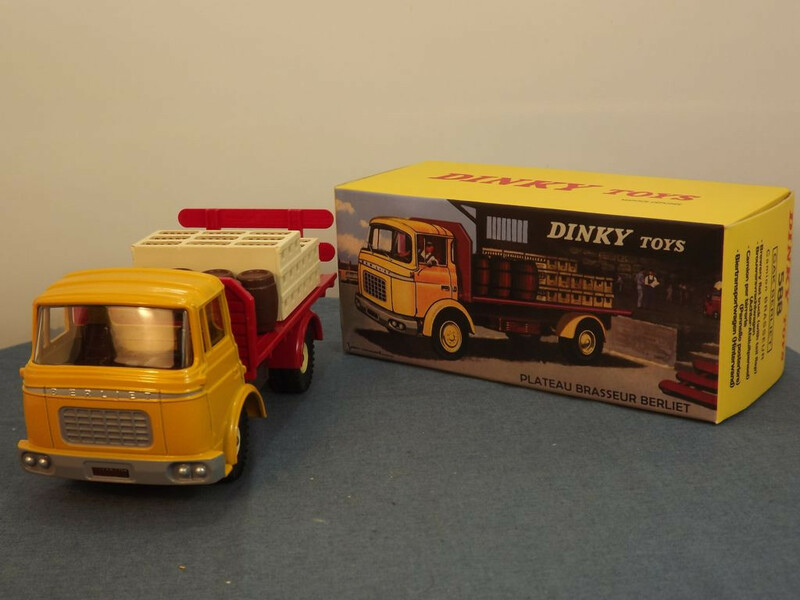 The model appears to be an accurate representation of the original Dinky 588-F-2 issued between 1964 and 1970. 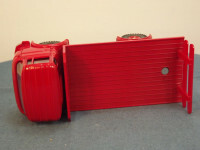 The interior is red and is actually part of the red chassis molding. 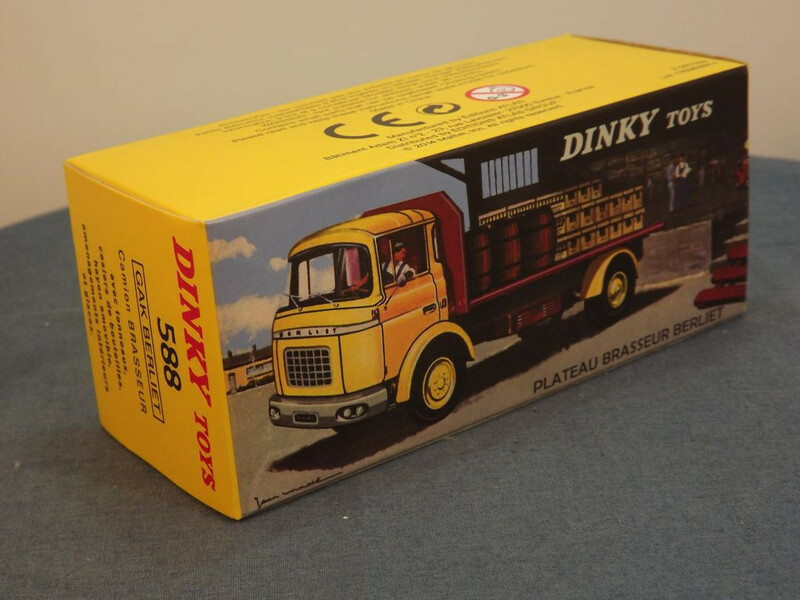 The glazing is clear. 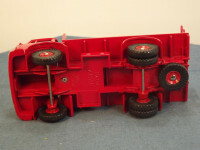 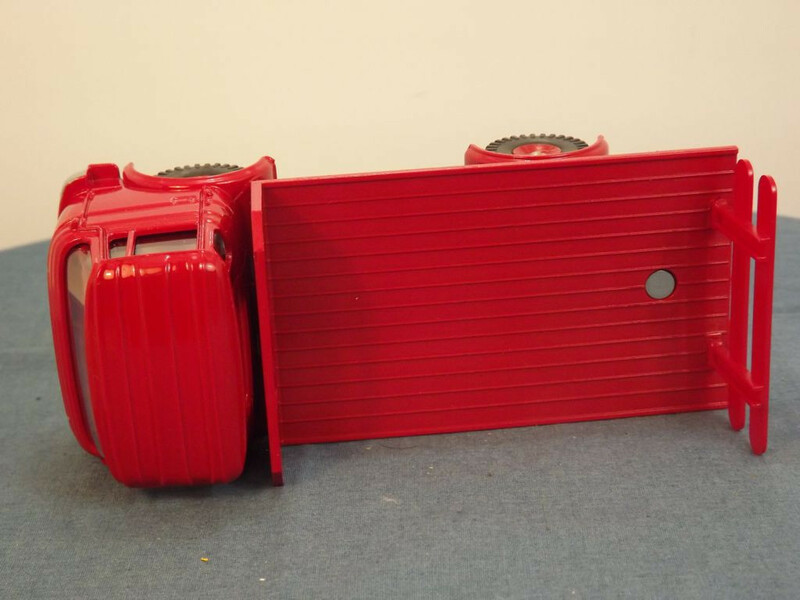 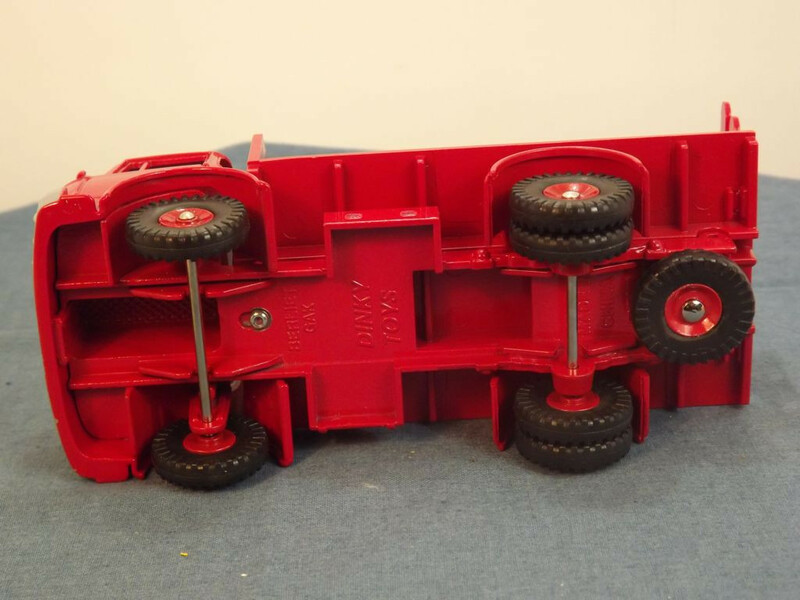 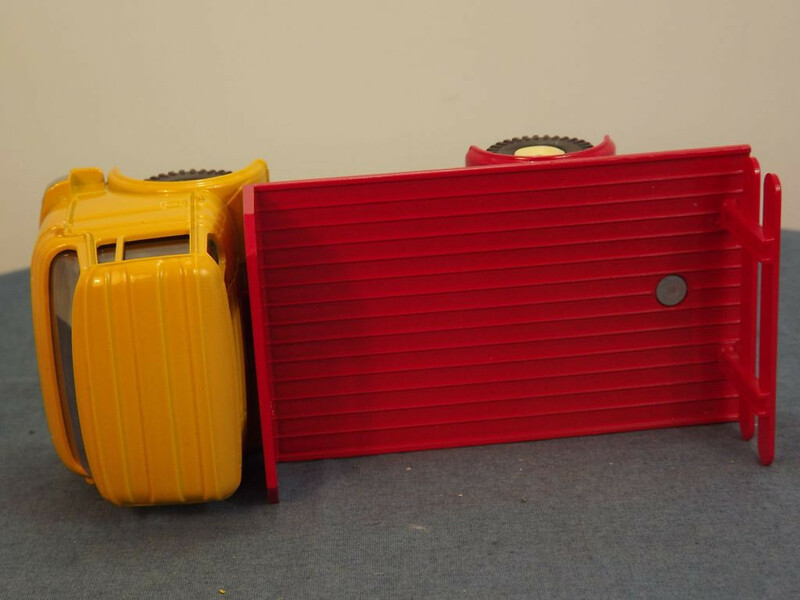 All wheels are one piece, red painted, cast metal hubs with separate black rubber tyre on domed steel axles which pass through the base plate.